Brian Joseph Davis is a filmmaker, co-founder of Joyland Magazine, and the creator of one of our favorite Tumblrs—The Composites. For the few of you who don’t know, The Composites takes descriptions of characters from literature and uses sketch software, like the kind used by the police, to create composites (as the blog name might imply) from the text. If you haven’t checked in with The Composites over the past few months, rest assured the beloved blog has returned in full force, with bi-weekly updates and a brand-new monthly podcast. Check out our exclusive interview with Brian to see how he mixes the scientific and the literary in his work. Lauren Friedlander: What inspired you to create The Composites? Brian Joseph Davis: In the past some of my art work was centered around misusing technology. The Composites started when when I wondered if I could buy law enforcement sketch software and discovered that I could. 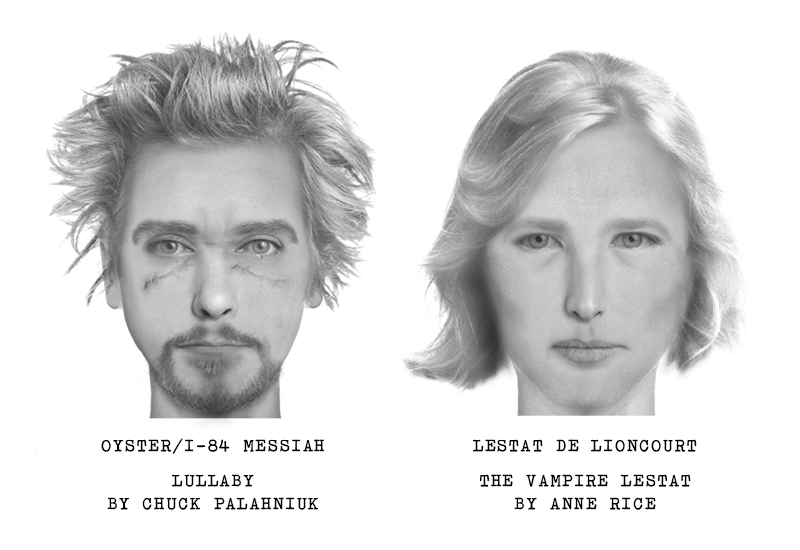 From there I decided to do literary portraits based on text descriptions from novels, focusing on more “infamous” characters who may be deserving of a police sketch. LF: What has it been like to see renewed interest in the Composites work, inspiring you to create more composites and even create a Composite podcast? What do you think drew so many people to this project in the first place, and in a new iteration now? BJD: I think people reacted strongly to it the first time because it was slightly nightmarish, kind of a meeting of literary criticism and the surveillance state. The renewed interest had come about because I think this is the year that true crime as a genre has become legitimized. Mostly through Serial, and Making a Murderer. LF: What other internet creators do you admire who mix science and literature, the artistic and the analytical? What is one of your favorite internet trends in recent memory? BJD: You know, I think the internet itself is kind of the greatest art project ever. It’s hard to piece it out, but some fantastic sites that do that are: This is Colossal, One Perfect Shot DB, and FastCo Design. LF: Can you speak about working with a tight knit collaborative members of the Heroic Collective, working across media such as films, books, podcasts, and art? How to these speak to each other? We have two podcasts, Truth & Fiction (focused on writers) and CompositeCast (which is focused and art and crime) and a couple of features in development. It’s tough to balance though, as Emily also has a life as a novelist, which is pretty antithetical to all the above.